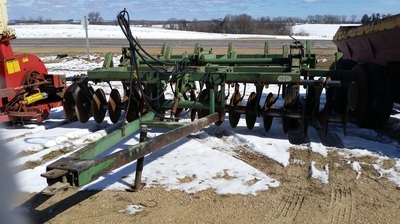 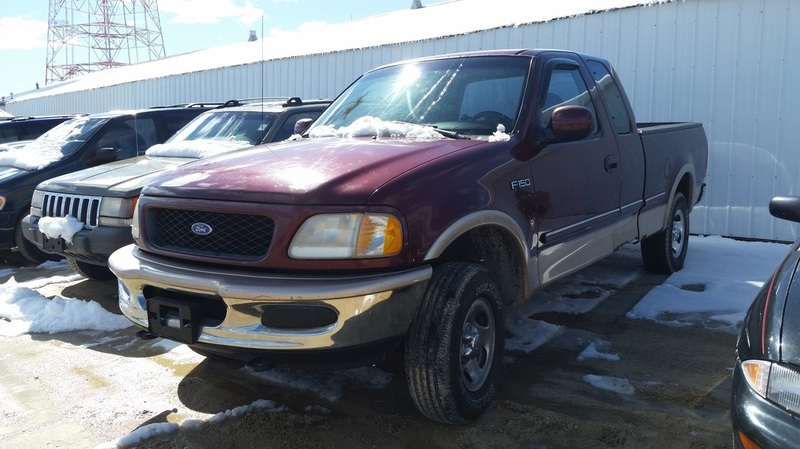 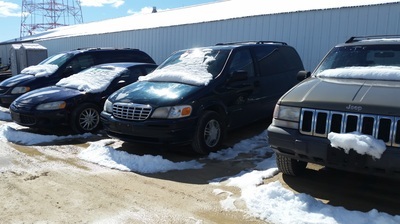 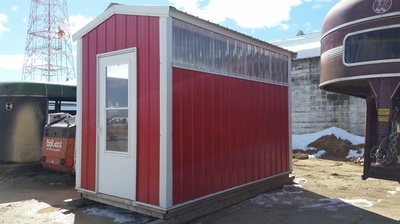 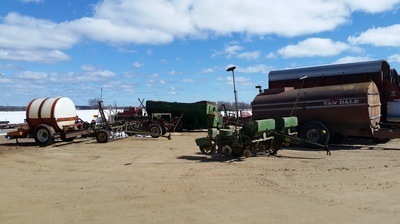 LOCATION: 6 miles West of Westby on Hwy 14 or 22 miles East of La Crosse on Hwy 14 to Sales Barn. 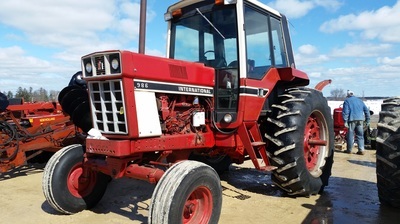 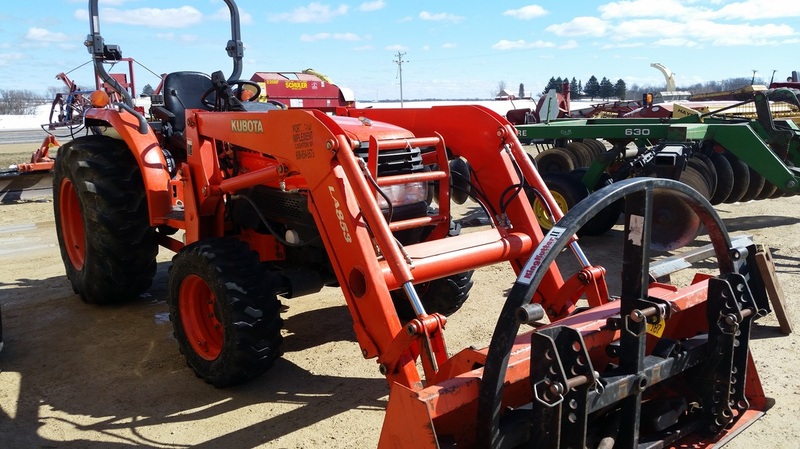 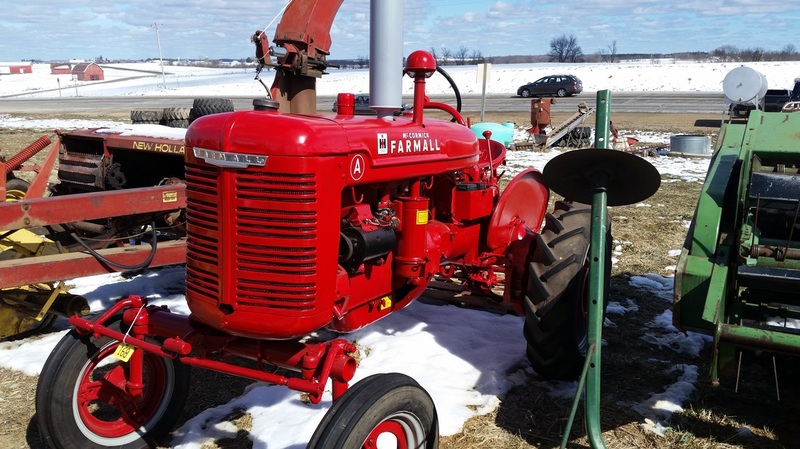 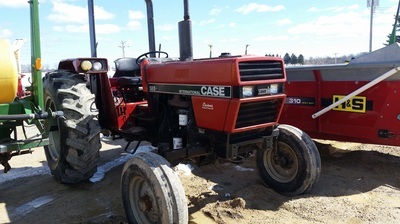 TRACTORS, SKID STEER, & COMBINE: Kubota L5030 Diesel 4 wheel drive with load 2003 model 1 owner, IH 666 gas with loader & chains, IH 684 Diesel WF 3 point (new tires), IH 656 Hdyo w/ 2000 Hdyo loader, Farmall C w/ belly mower, Case IH 585 Diesel WF, JD 2020Gas w/ all hdy loader (sharp), JD 3020gas NF late model w/ side mounted mower, JD 3010 gas engine overhaul w/ 48” loader, JD 2510 Gas NF, JD B w/ WF, 8N Ford tractor w/ loader, AC CA 1955 model, AC C, Bobcat 753 & 763 skid steer, JD 9510 side hill combine hydro single point hook up w/ 693 6 row narrow corn head & 20 ft flex bean head, IH 963 6 row narrow corn head. 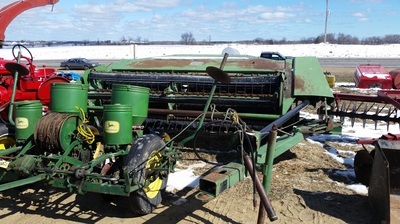 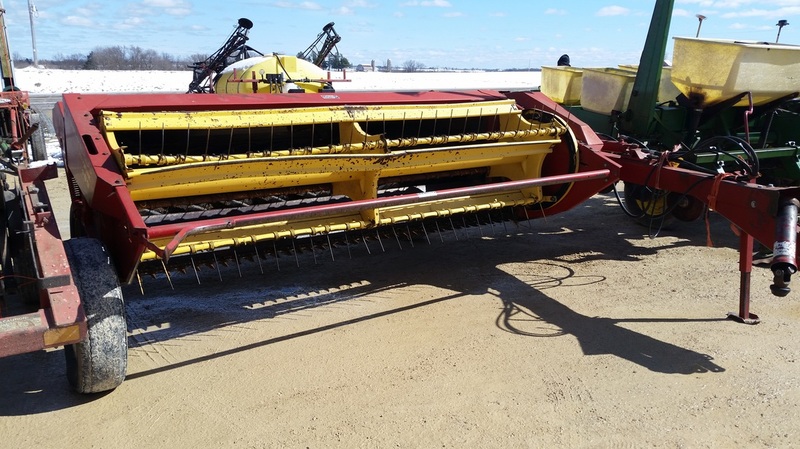 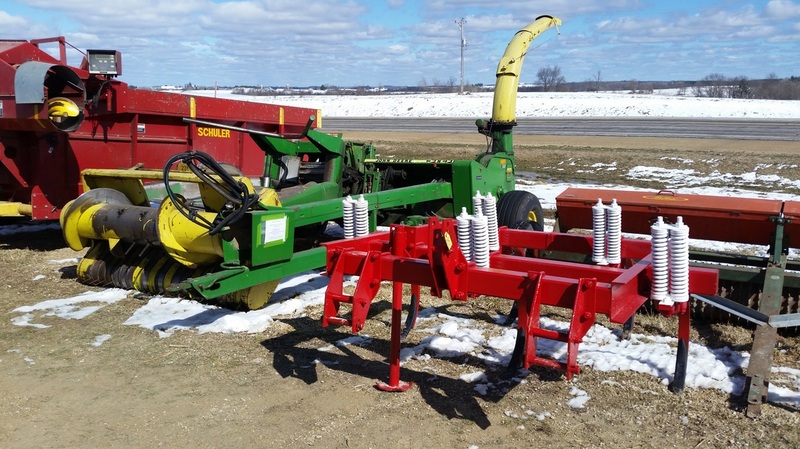 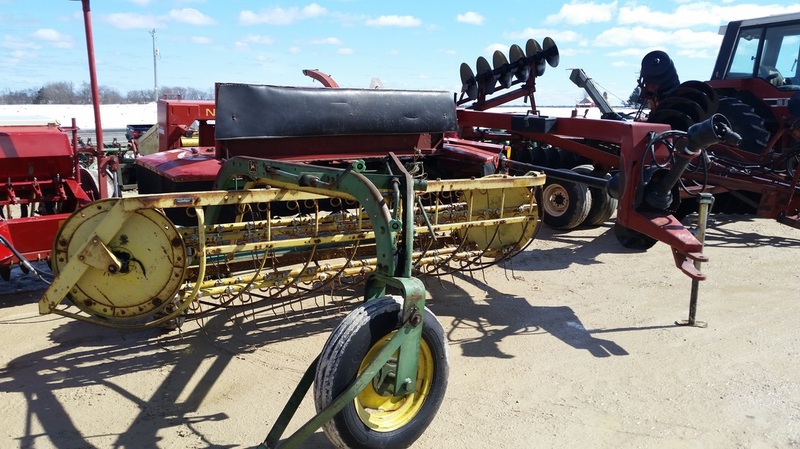 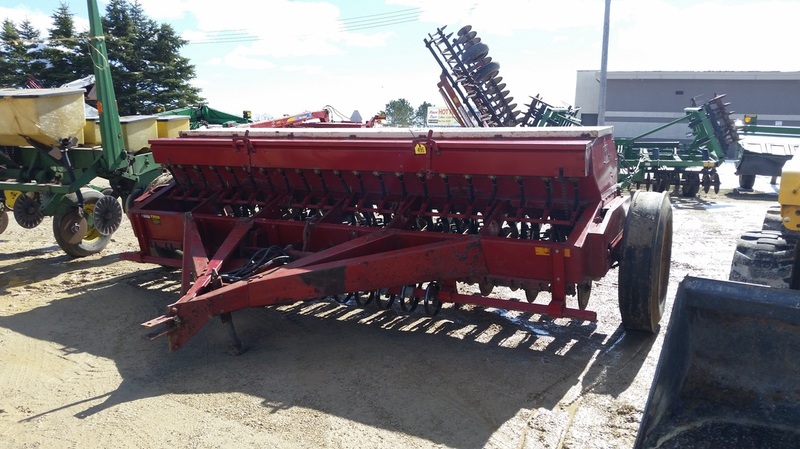 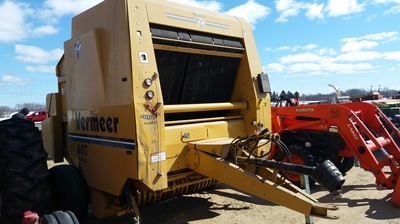 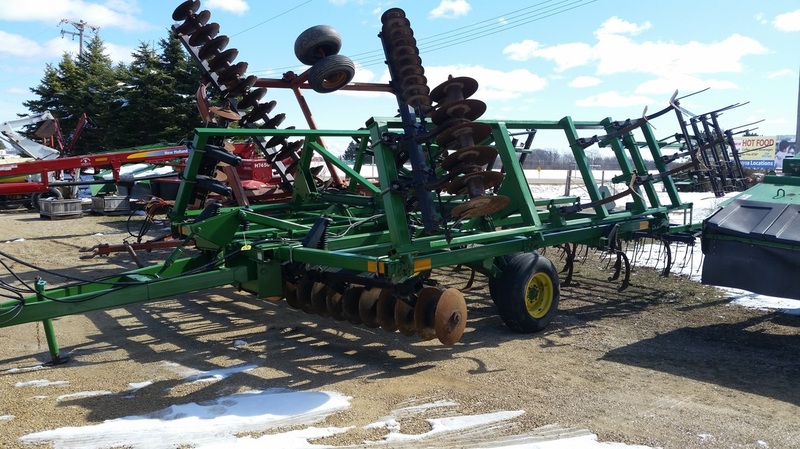 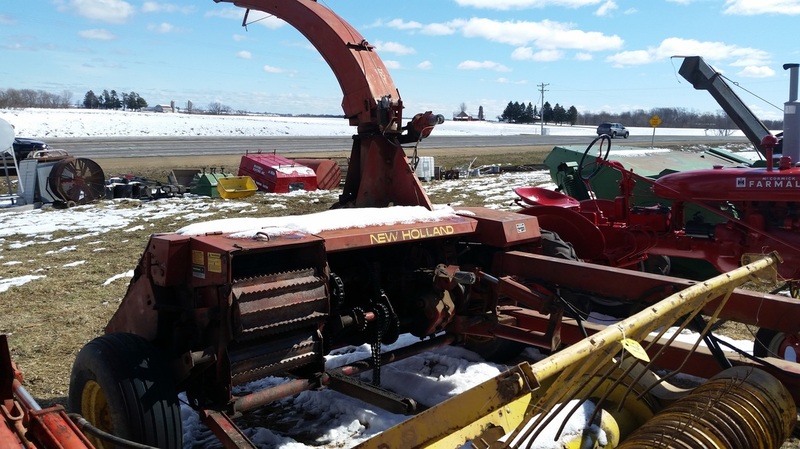 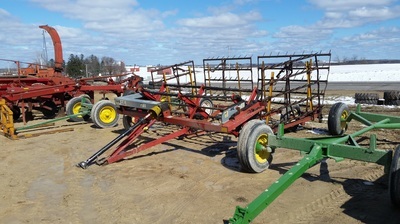 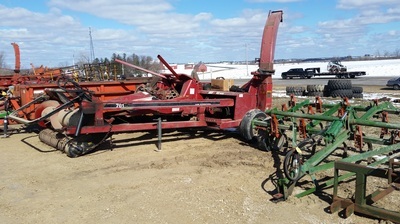 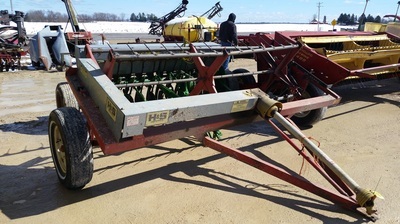 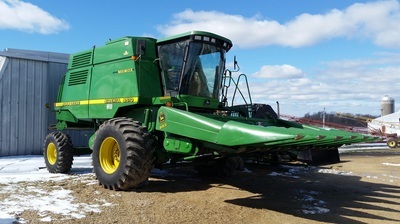 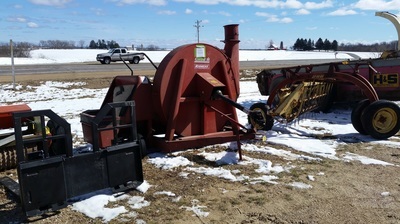 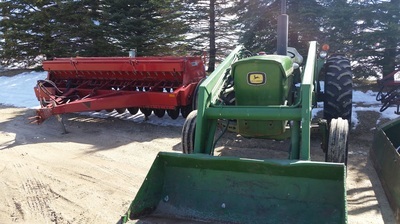 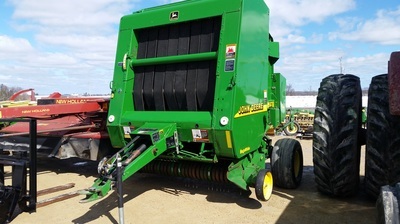 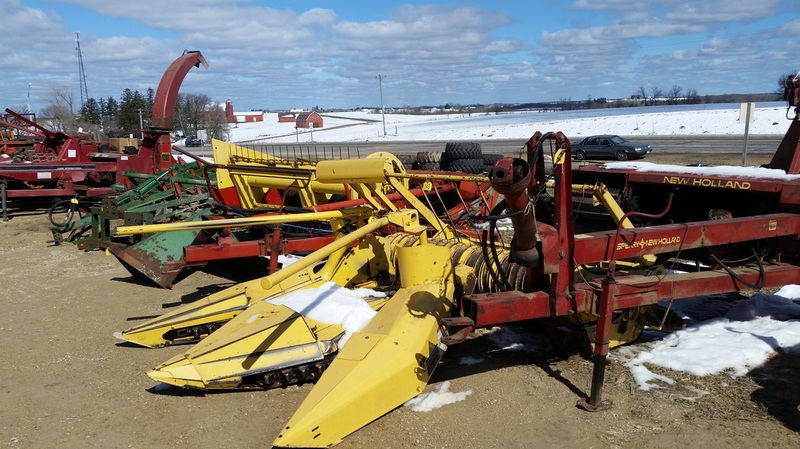 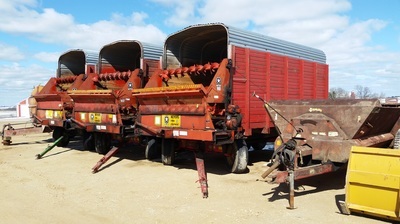 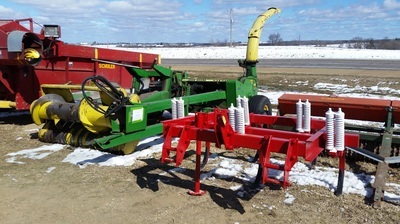 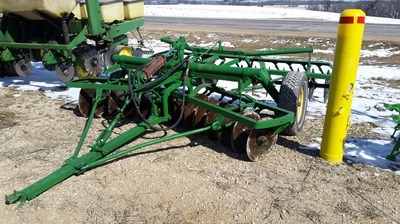 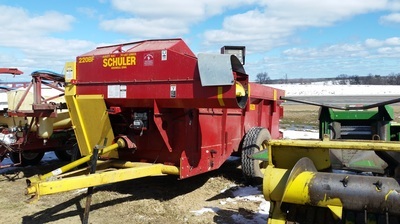 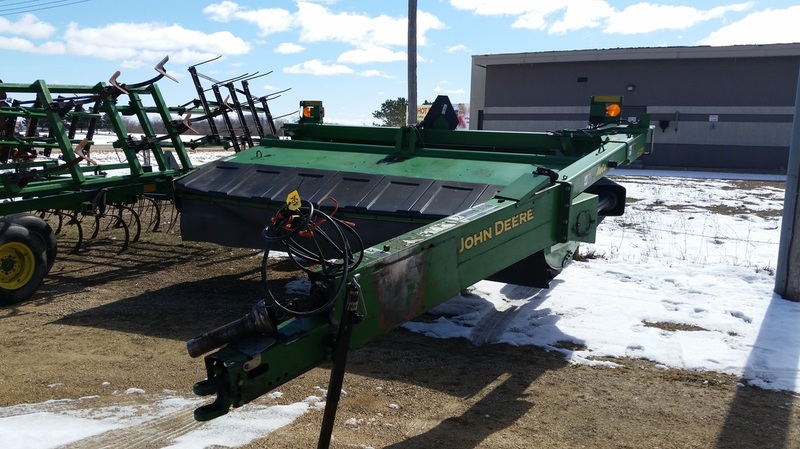 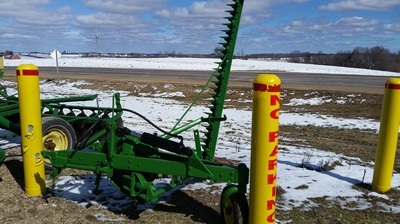 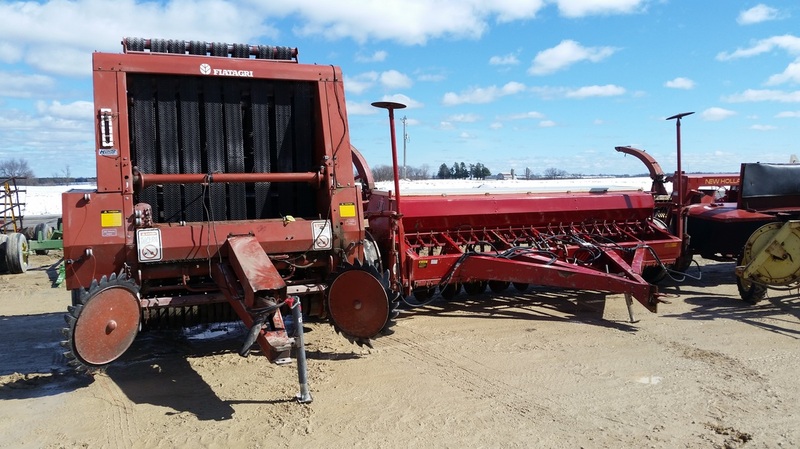 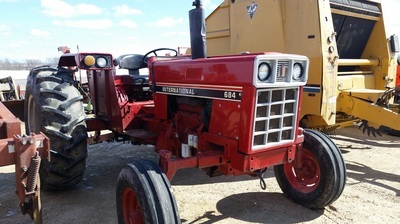 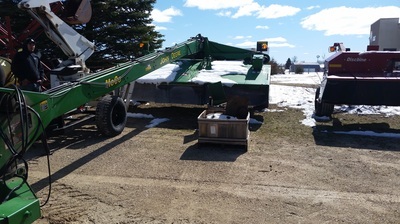 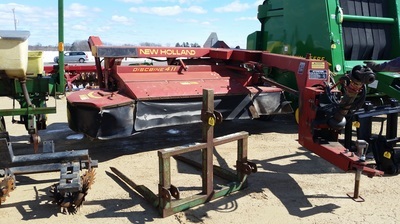 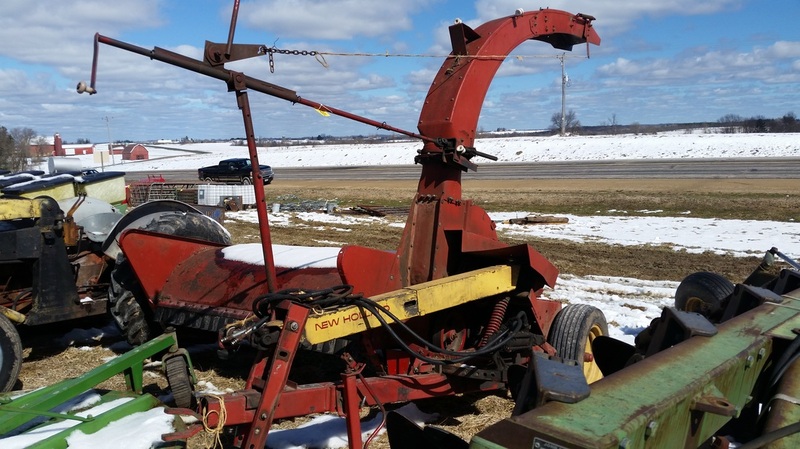 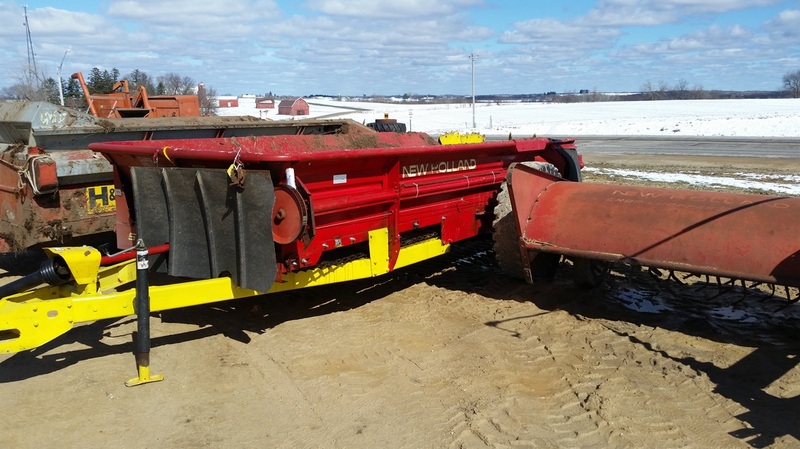 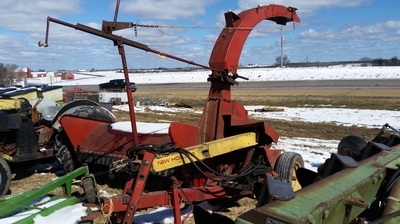 EQUIPMENT: NH H7450 13 ft discbine 2013 model, NH 411 discbine 10 ft, NH 1465 1998 model Haybine (real great), Gehl 2170 Haybine, JD 567 round baler wide pickup w/ net wrap, NH 847 round baler w/ net wrap, 605L Vermeer round baler, JD 3970 chopper w/ hdry controls w/ 2 row wide corn, Head & 5 ft hay head (real good), 3 Meyers 16 ft chopper box w/ 12 ton tandem running gear, Case IH 600 blower, NH 467 haybine, 1190 IH haybine, Owattanna 7 ft haybine, JD 660 rake, NH 256 rake, NI 400rake, Gehl 300 chopper, JD 1750 conversation 6 row narrow corn, Planter no till vac planter w/ fert & 250 monitor, JD 7000 6 row narrow liq fert no till, 2 JD 7000 4 row corn planter dry fert, 2 JD 290 2 row corn planter, 2005 Schuler self unloading feeding wagon w/ scale, Gehl 7200 green chopper, JD 16A green chopper, NH 36 green chopper, Cook 12 ft offset disc w/ buster bar, White 445 9 shank disc chisel, JD 1710 disc chisel, 1500 AC 7 shank disc chisel, 7 shank soul saver, 3 point 5 shank chisel plow, 18 ft wing IH disc, JD 8-7 ft wheel disc, Krause 8 ft disc, 8 ft AC snapper couples disc, JD 3 point plows, Walsh 1000 gal sprayer w/ 45 ft hdy boom, 24 ft sprayer gas engine electric start, Auto micro mist sprayer 3 point PTO, Handy 500 field sprayer w/ 45 ft boom, JD 780 manure spreader, Hay rite 54 ft conveyer, 450 Bu Headband Martin sling spreader, Gehl scavenger spreader, H&S 235 , 270, 310, 370 manure spreader, 2 JD 8 ft grain drill, Oliver 10 ft drill, Better built 1500 gal manure tank, Badger chopper box, Kicker racks & wagon, 2500 parker gravity box w/ ex sides, 2 4 sec drags on carts, 4 sec drag, 2 row stock chopper, JD 4 row stock chopper, 3 row NI narrow row super picker, 2 JD 3 point blades, 6 row narrow 3 point cultivator, 9x20 3 wheeler feeder wagon, 14 ton tandem wagon & rack, Pallet fork, Bucket for skid steers, 1275 JD tandem wagon, Gehl tandem wagon. 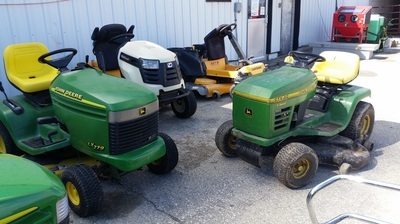 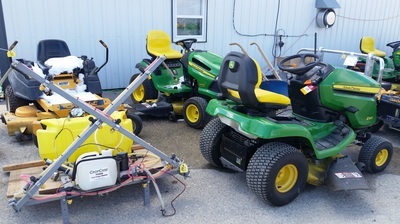 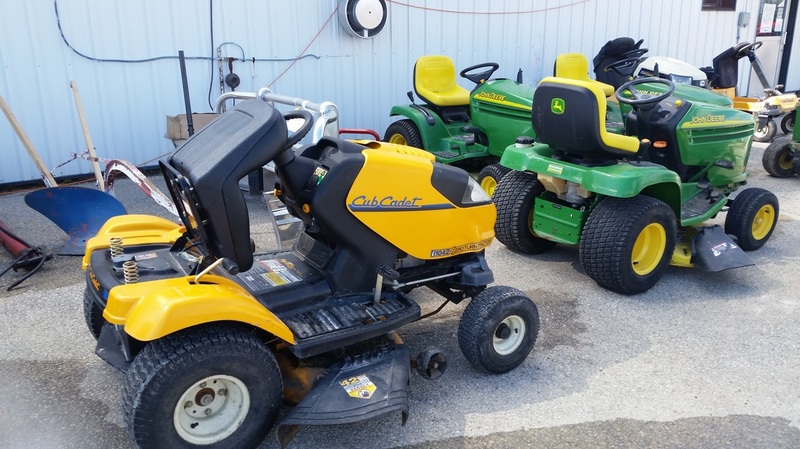 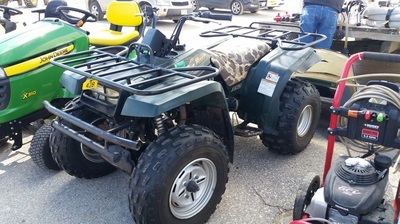 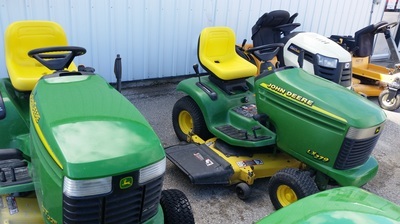 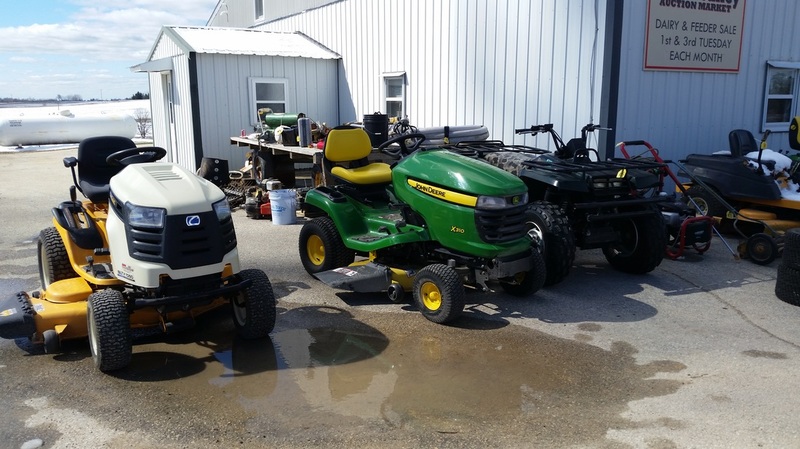 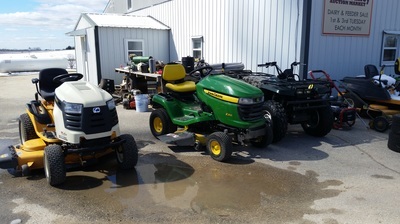 GATOR & LAWNMOWERS: 4 wheel JD gator, Yamaha 4 wheeler, Honda 4x4 300 4wheeler, JD 310 riding lawn mower 42 deck 124 hrs, JD 300 riding lawn mower 42” deck 74 hrs, JD 225, 280, 279 riding lawn mowers, JD LA 14o rider, Cub Cadet 1042 80 HP zero turn (new motor & blades), 2 Cub Cadet 1050 riders, 2012 Cub Cadet RZT 550 zero turn. 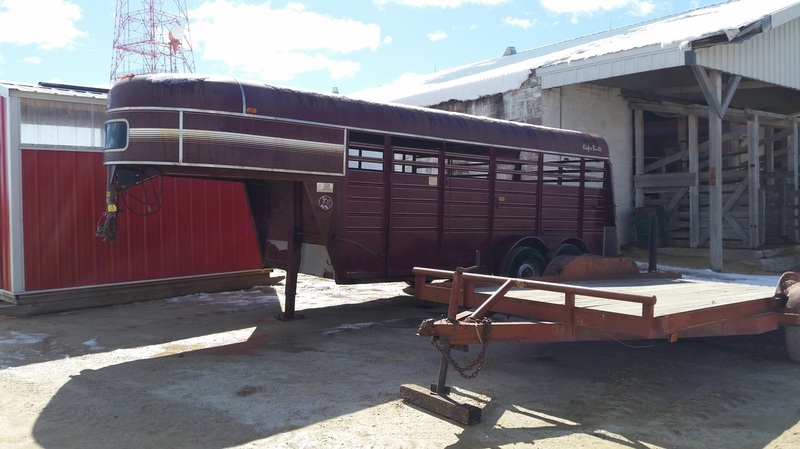 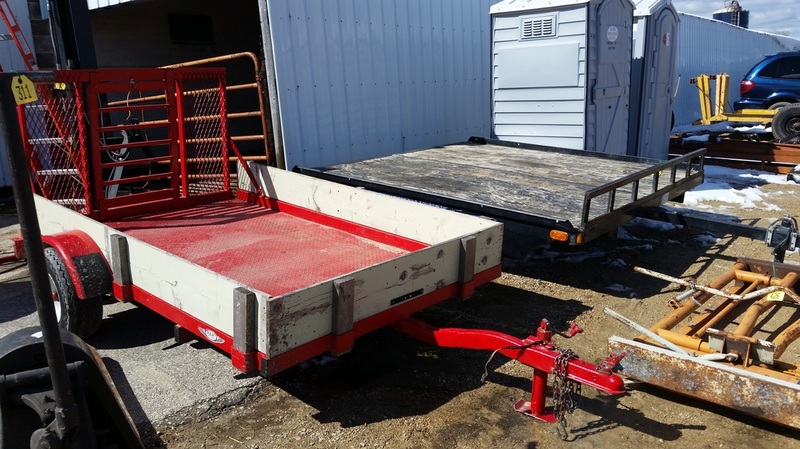 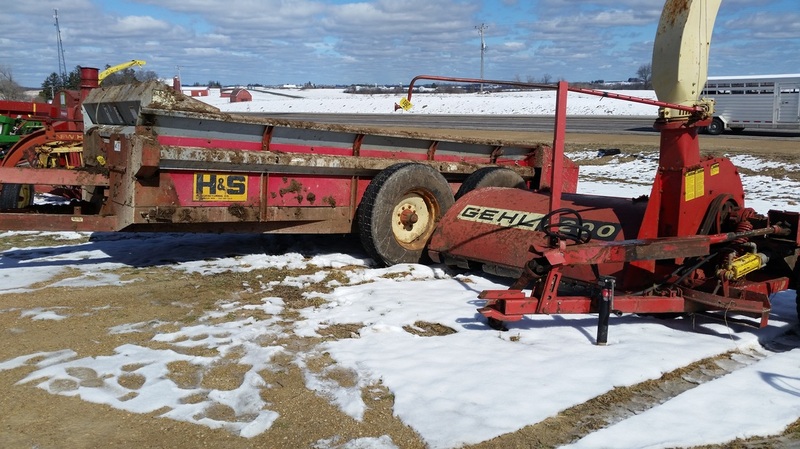 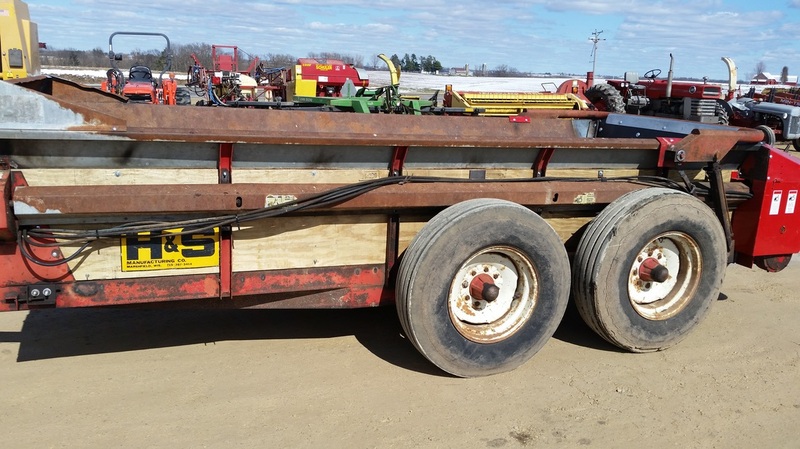 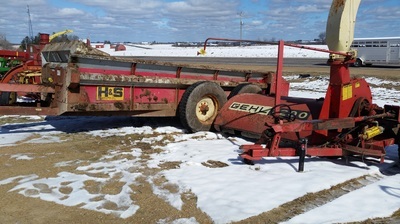 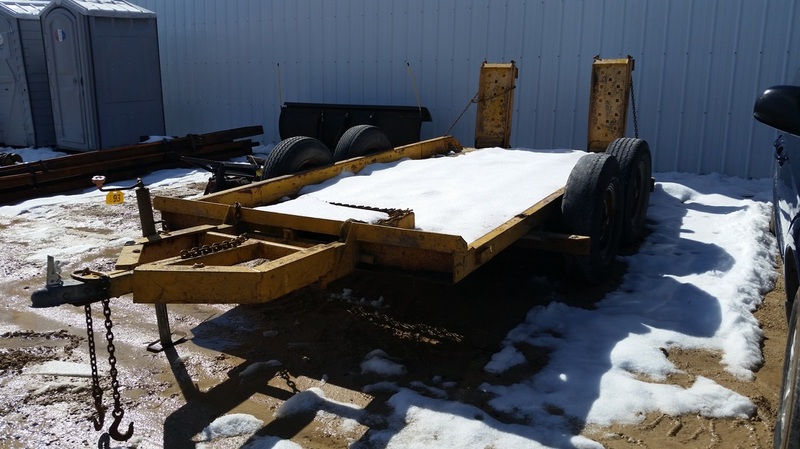 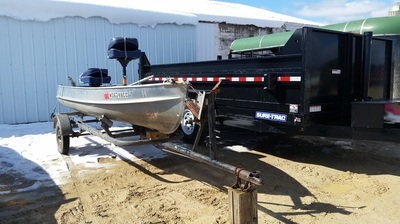 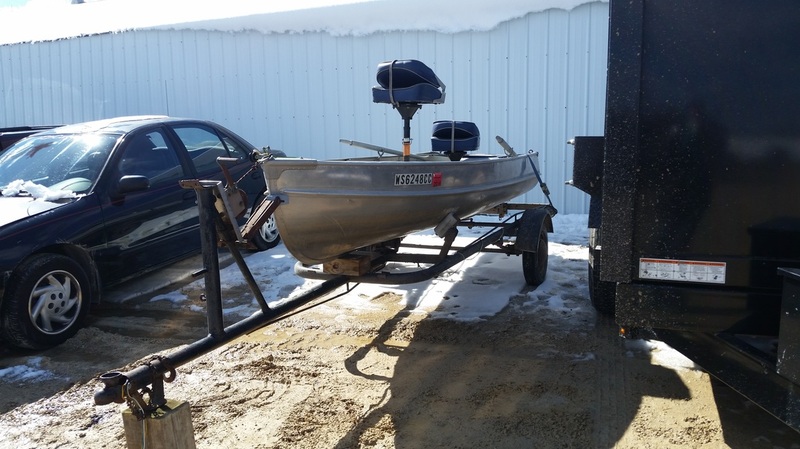 TRUCKS & TRAILERS: 1986 IH w/ 24 ft bed & winch, 16 ft Keifer goose neck trailer, 16 ft bumper cattle trailer, Car trailer, Snowmobile trailer, Pop up camper, 20 ft camper, 18 ft dump trailer (like new). 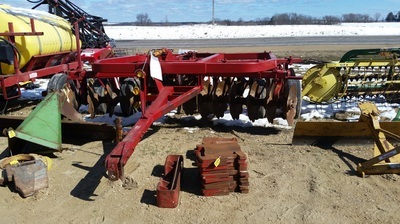 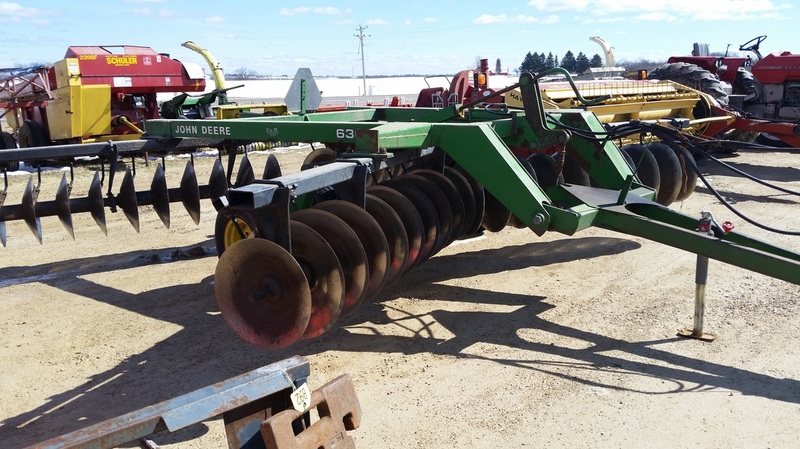 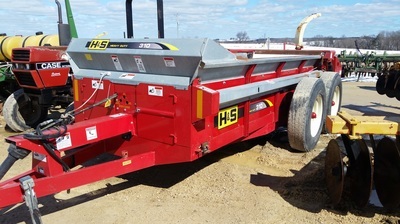 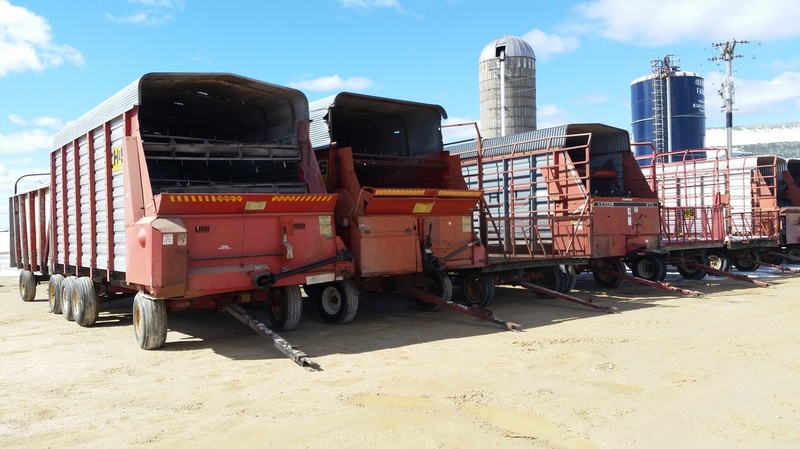 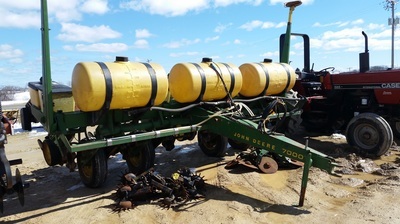 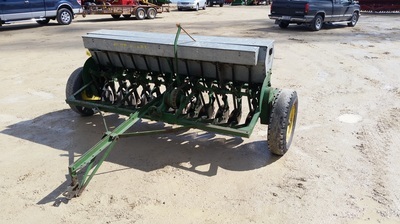 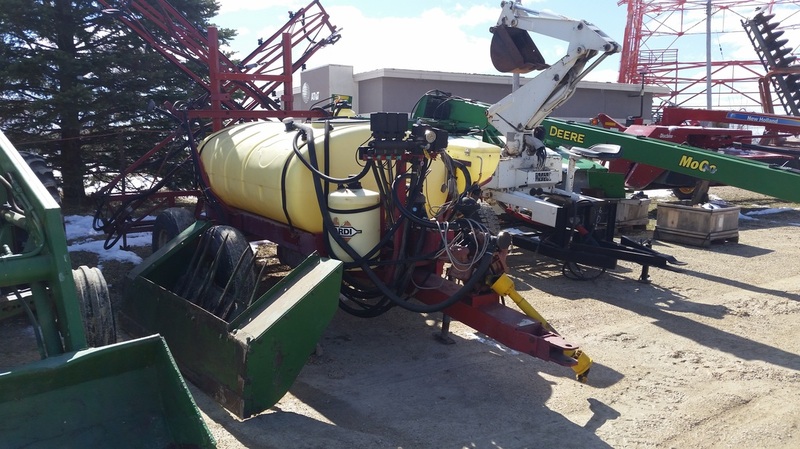 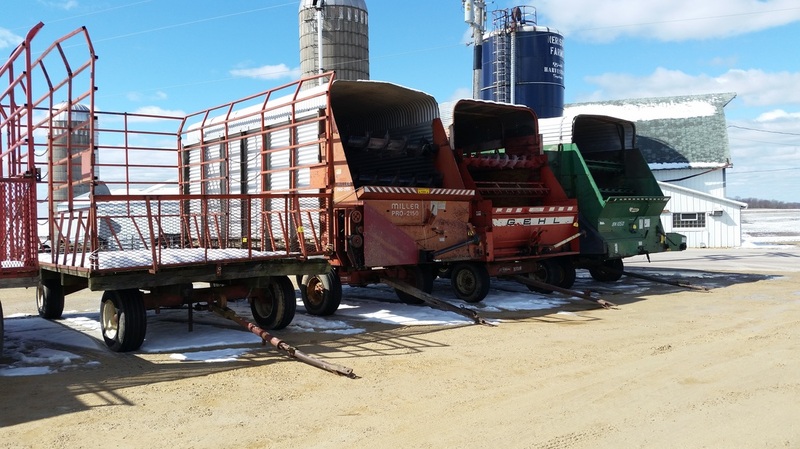 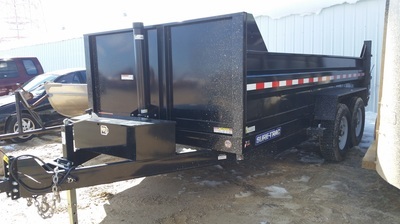 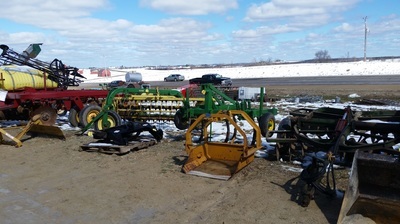 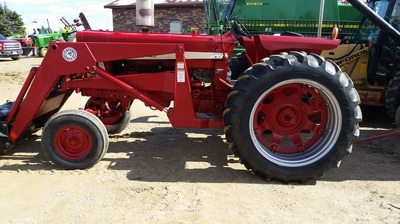 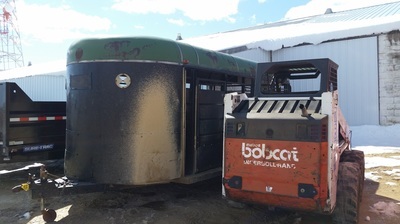 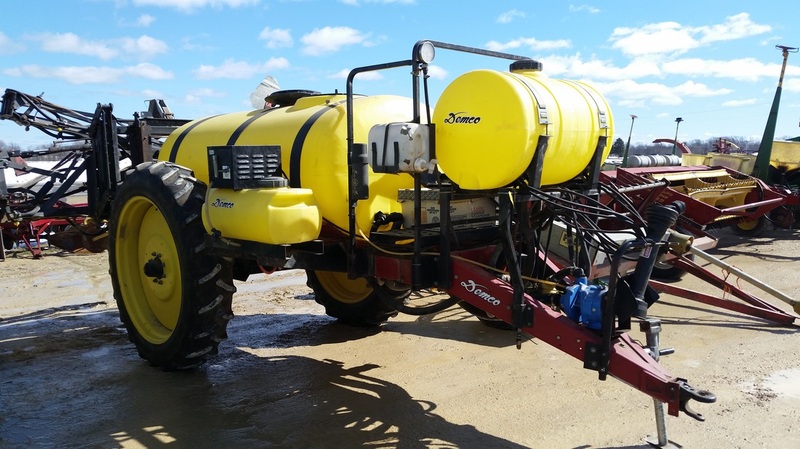 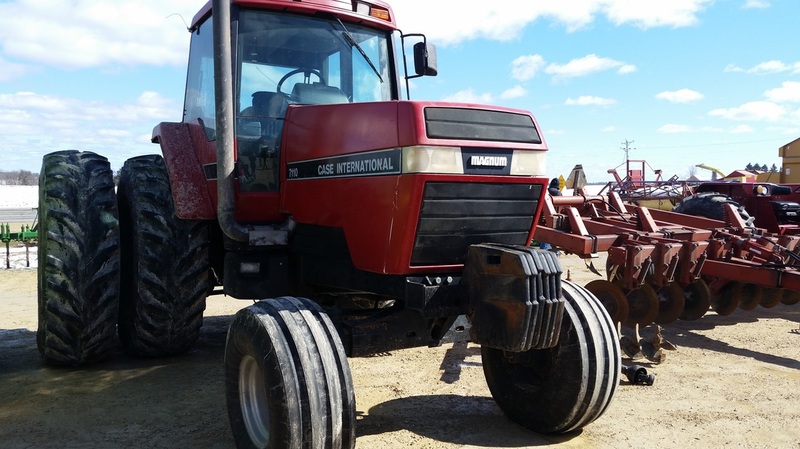 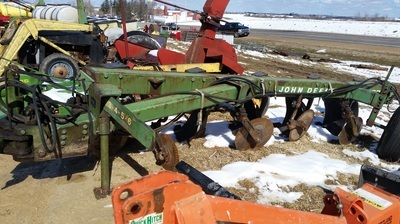 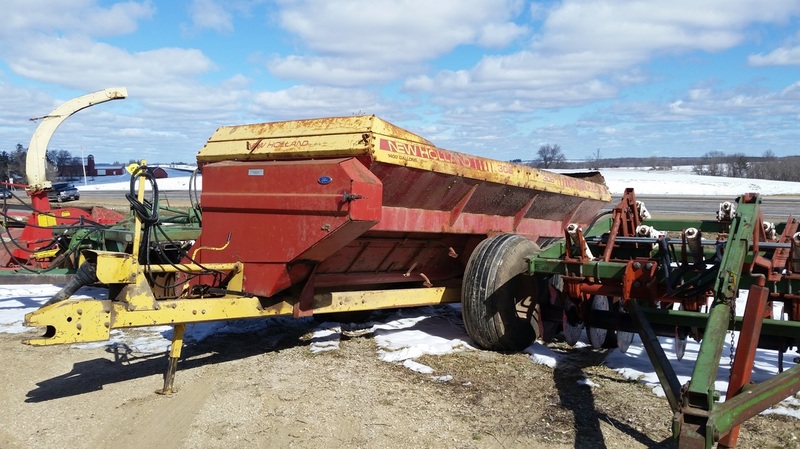 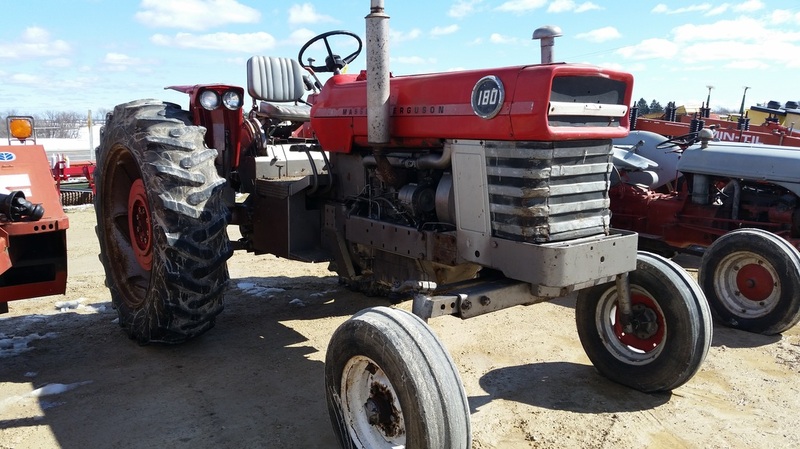 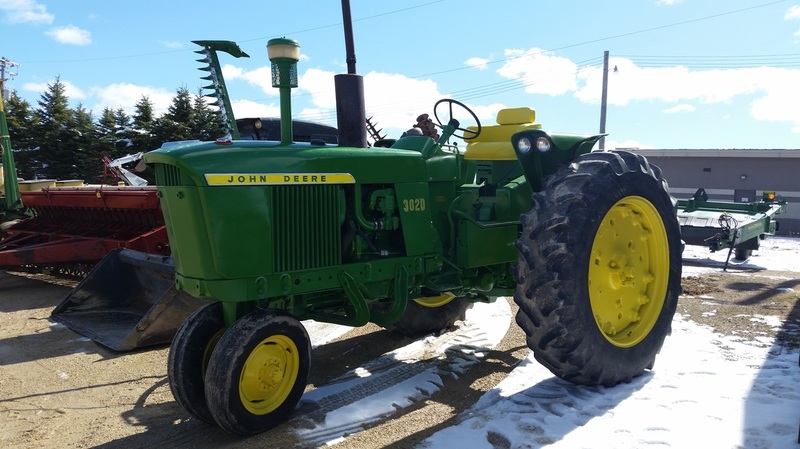 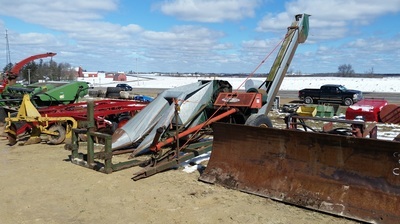 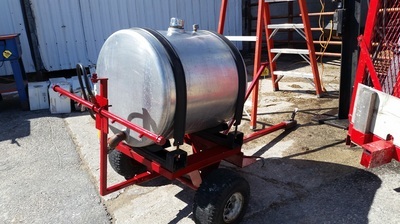 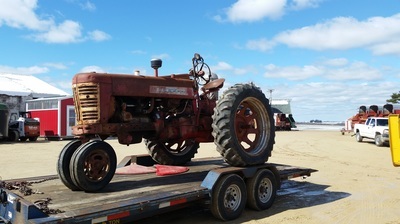 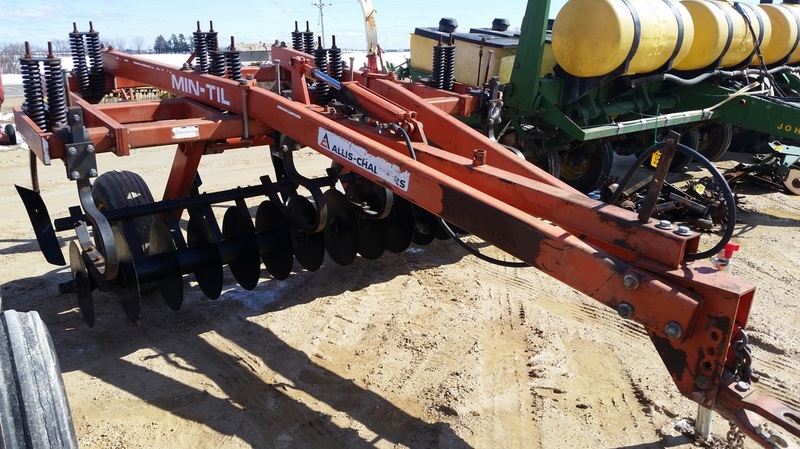 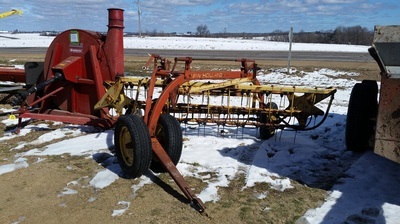 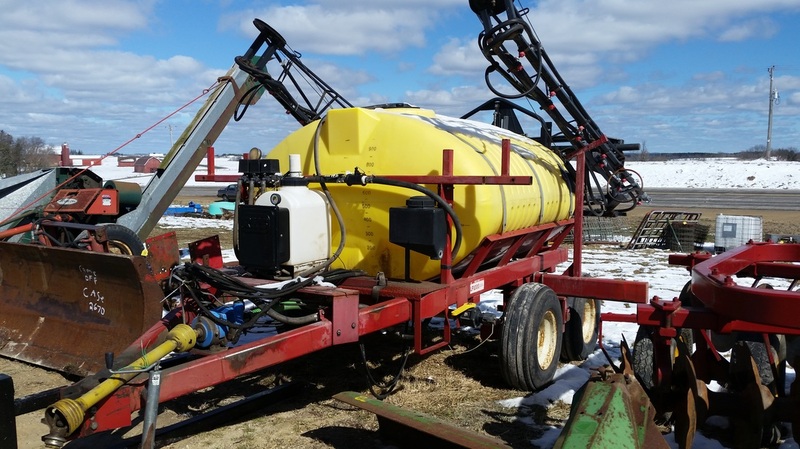 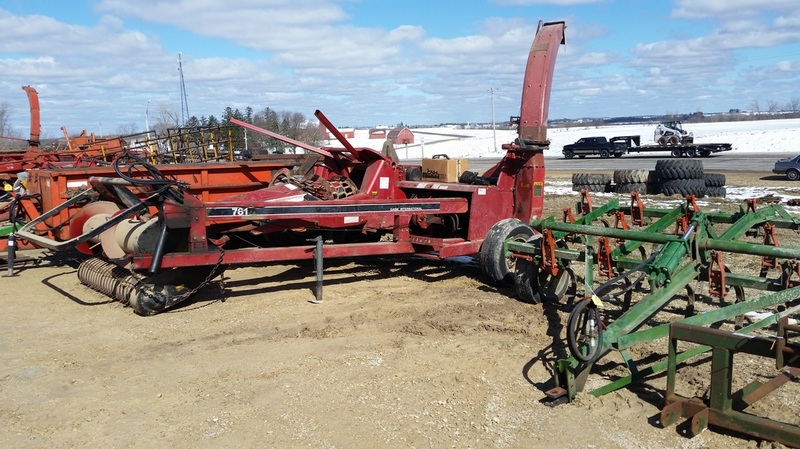 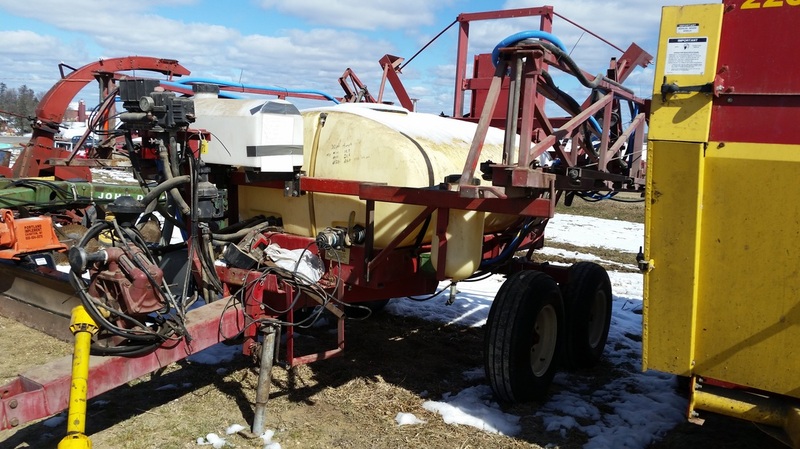 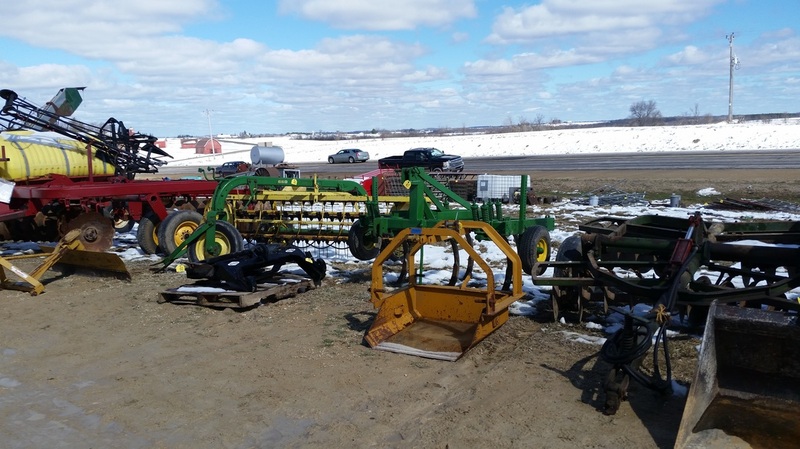 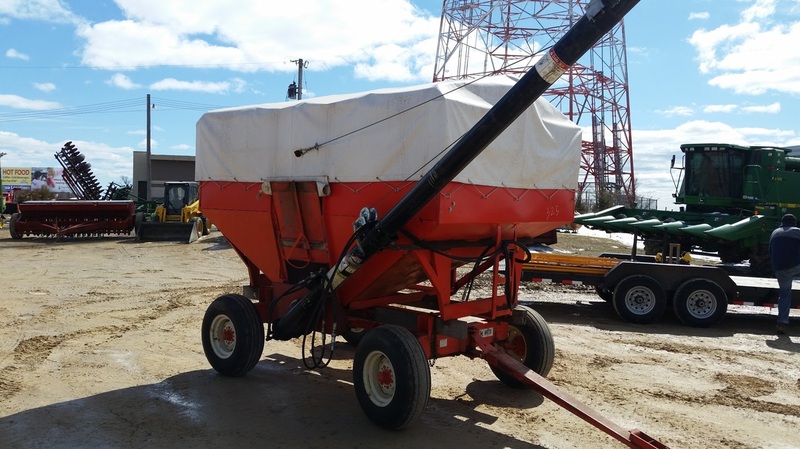 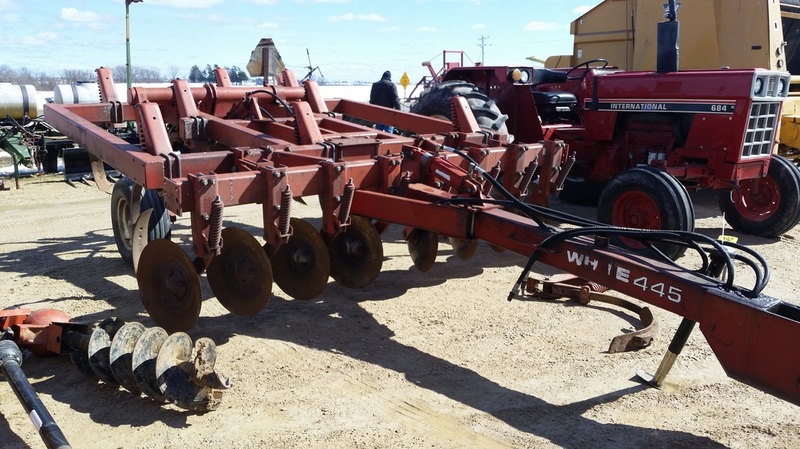 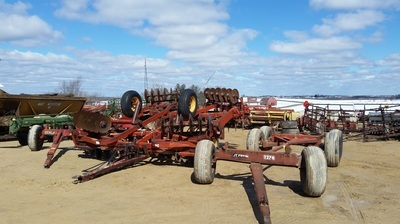 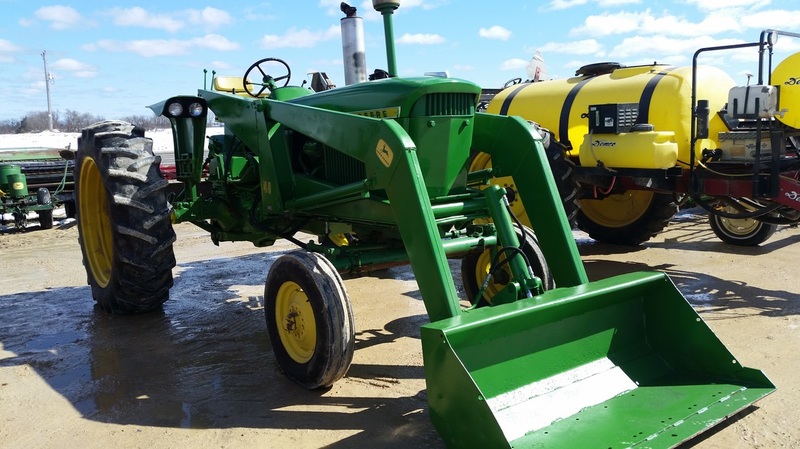 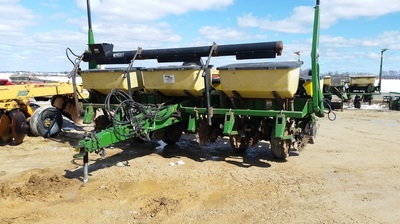 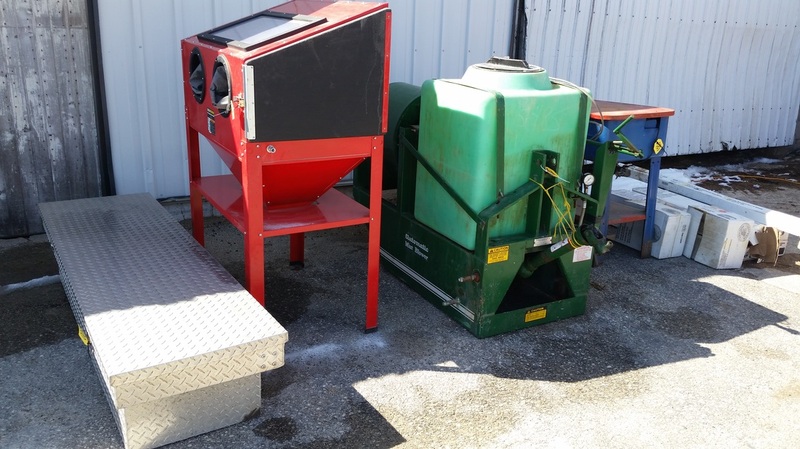 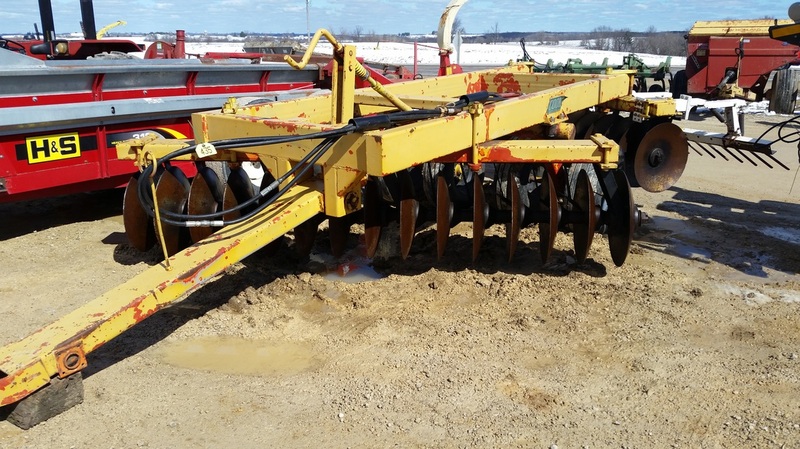 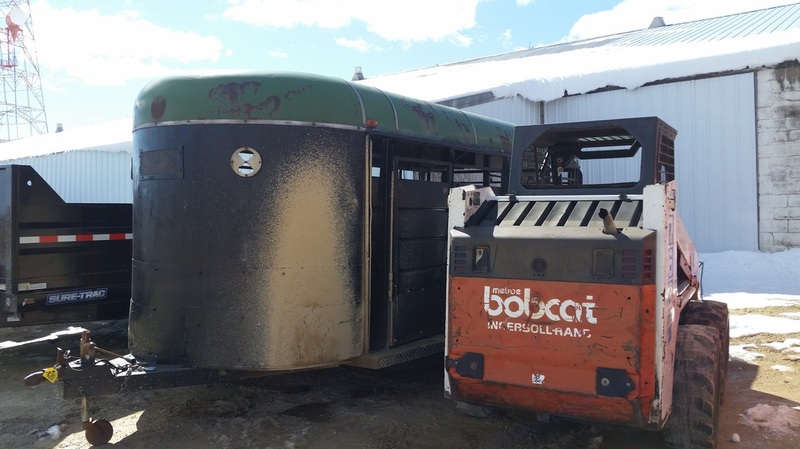 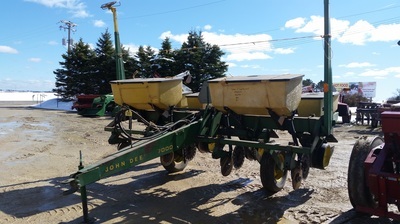 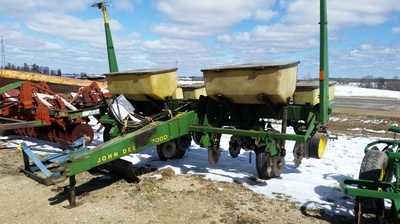 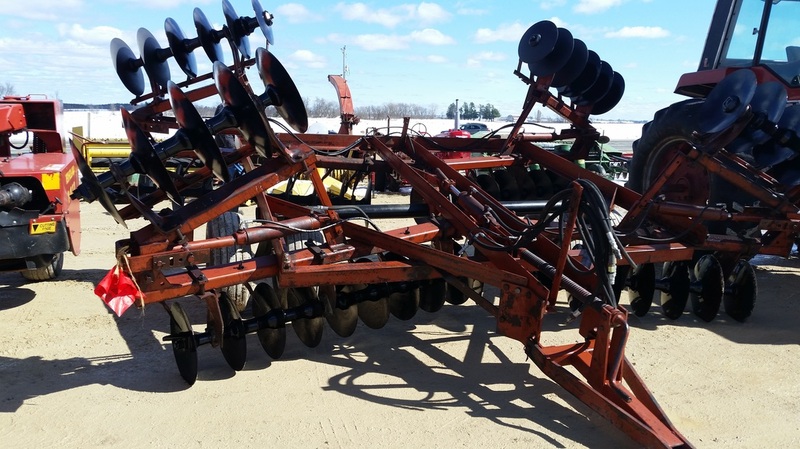 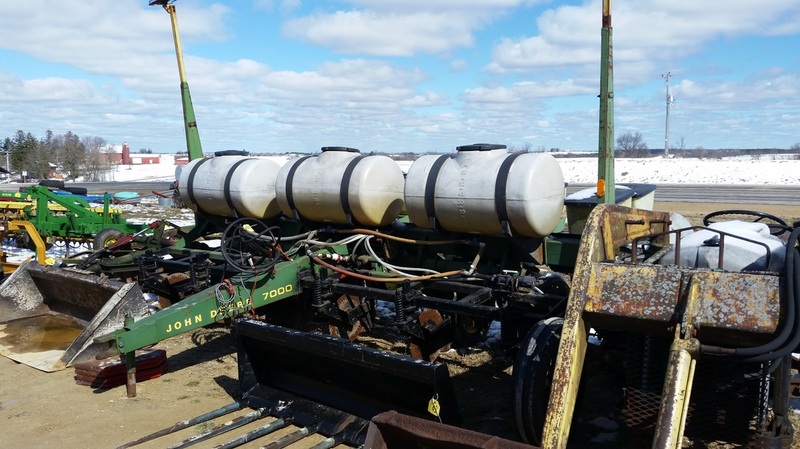 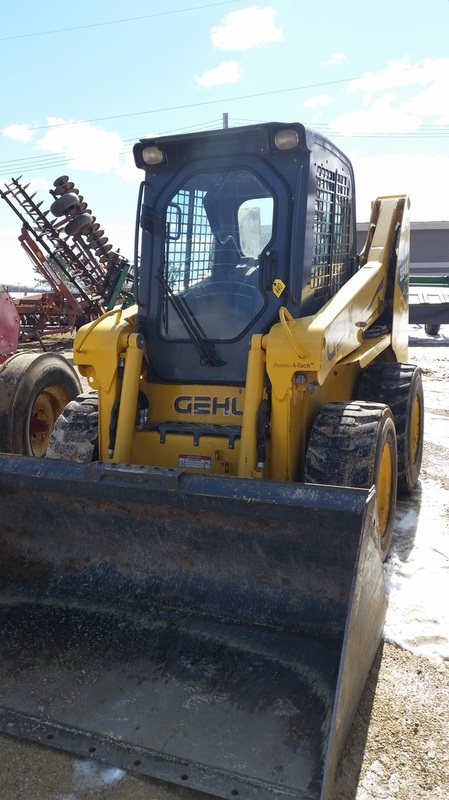 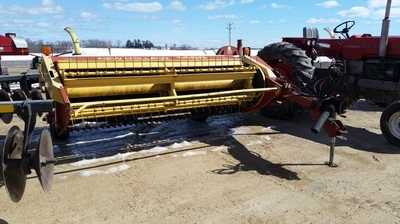 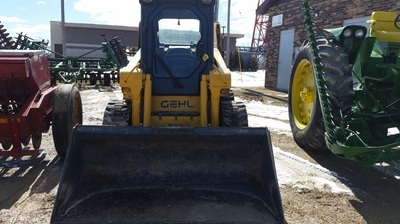 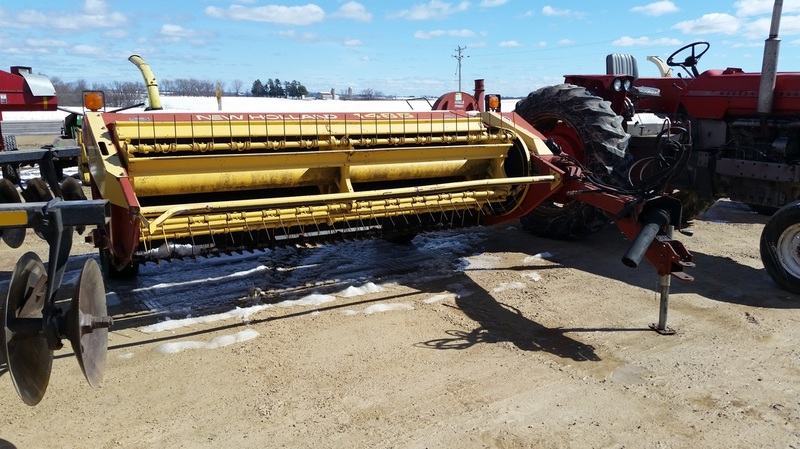 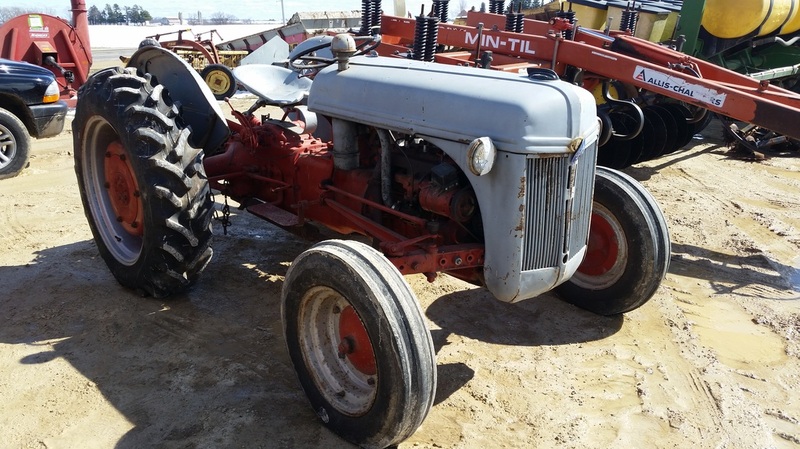 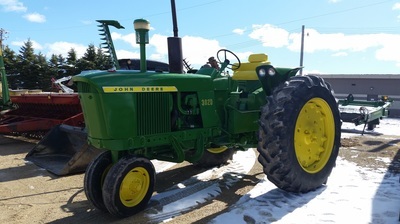 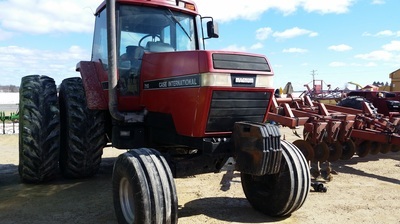 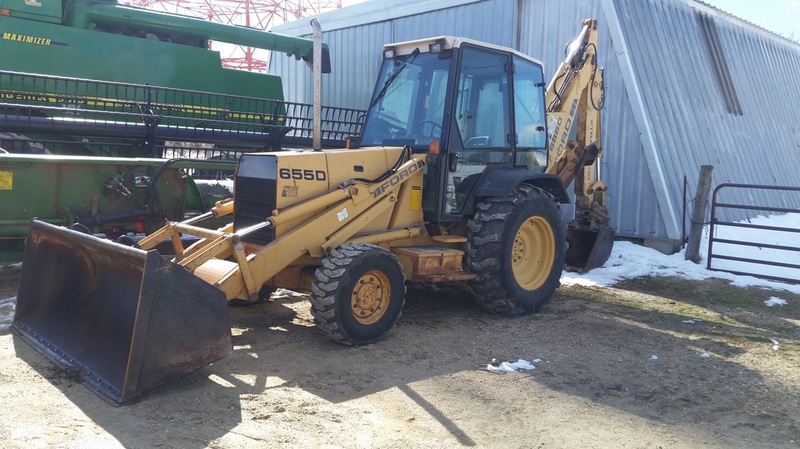 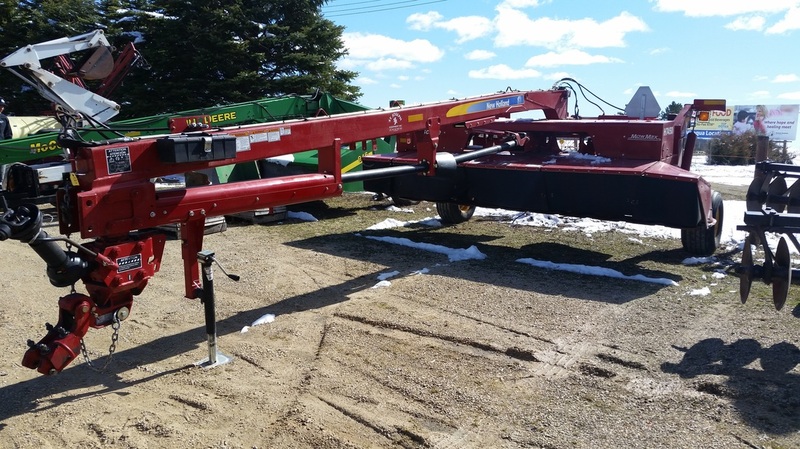 MISC ITEMS: 4 DV-300 milkers, 2-16-9-28 tractor tires, Quick atl bucket, Fast hitch for 706, 16-9-38 tire,18-4-34 tires on rims, 30 & 50 ft patz conveyor, Gas feed cart, Skid steer track, Roll bar for 3020 & roof, 5 ton feed bin, Pallet jack, 24 ft bale cover, Tractor weights, 3 point generator, Miller Portable welder, Horse wagon. 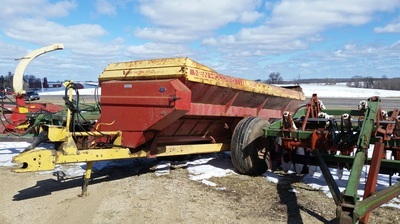 NOTE: There will be many more items available the day of the sale. 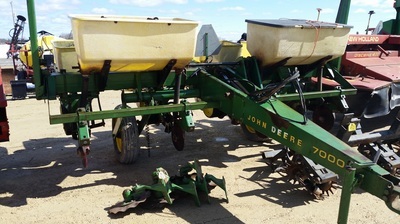 Not responsible for no shows.